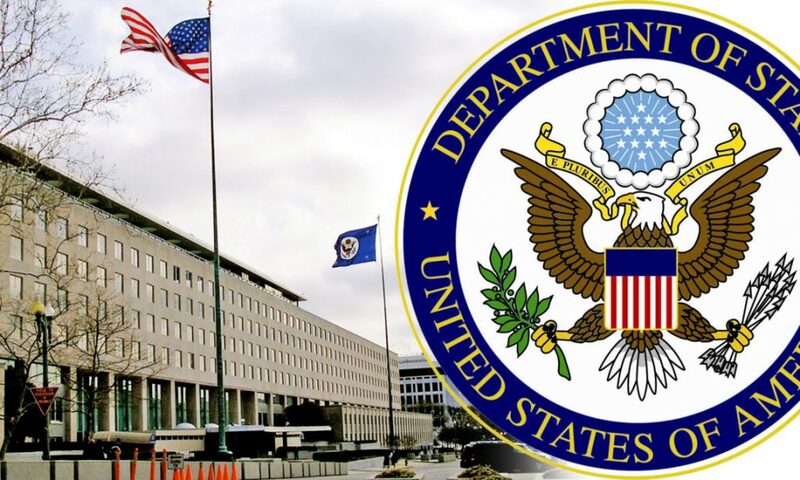 The most recent report from the US State Department describes an increasingly dire situation regarding organized crime, drug trafficking, and money laundering in Albania. The 2019 International Narcotics Control Strategy Report submitted to the US Congress two days ago focuses on the year 2018 and includes a section on Albania. The main conclusions of the report on Albania include: trafficking of cocaine and heroin has increased; Albanian organized crime commands drug trafficking from source countries into European markets; organized crime networks in Albania have grown; Albania now serves as a base of operations for organized crime organizations operating in US, South America, Europe and Middle East; Albania is an important country for money laundering and its risk has been elevated. For a more robust summary, Exit brings the following excerpts from the report’s findings. – Albania is both a source country of cannabis and, increasingly, a transit country for cocaine and heroin commanded largely by organized crime elements moving illicit drugs from source countries into European markets. – Official corruption is pervasive and fosters an environment in which drug traffickers are largely able to operate with impunity. – Albania’s institutions are moderately equipped to fight drug crimes, but corruption at every level of government limits their overall effectiveness. – The volume of drug seizures and number of drug-related arrests in 2018 was significant, driven largely by Albanian law enforcement cooperation with international partners, increased international pressure, and Albania’s efforts to accede to the European Union. – There has been an increase in seizures of cocaine transiting Albania to Europe, in addition to discoveries of heroin and cocaine processing labs in northern and central Albania. – Albanian crime groups traffic cocaine and heroin to European markets from source countries in South America and Asia. – Efforts to eradicate and prosecute cannabis growers have been extensive but uneven. – Disrupting the drug trafficking infrastructure that has developed over two decades is a challenge. – A high rate of unemployment and weak rule of law have created an ideal environment for the organized crime groups driving Albania’s drug control problem. – Albania’s exportation of cannabis and movement of illicit drugs to European markets is a highly lucrative enterprise for drug traffickers. – The status quo, which infrequently leads to convictions or imprisonment, is no deterrent for criminals. – Albania is, however, moving towards justice reform to prosecute and convict criminals of trafficking drugs by leveraging organized crime affiliation. Prosecutors now combine drug-related charges with organized crime charges. – The Government of Albania made no significant progress toward thwarting money laundering and financial crimes in 2018. – Albania remains vulnerable to money laundering due to corruption, growing organized crime networks, and weak legal and government institutions. – The country has a large cash economy and informal sector. – Major proceeds-generating crimes in Albania include drug trafficking, tax evasion, and smuggling. – Other significant predicates include counterfeiting, arms smuggling, and human trafficking. – Smuggling is facilitated by weak border controls and customs enforcement. – [Efforts] to address money laundering and financial crimes […] are still challenged by pervasive corruption. – Narcotics trafficking or smuggling and illegal business dealings of organized crime gangs are the major sources of illicit funds. – Albania’s proximity to Western Europe, its location along heroin smuggling routes, and the presence of Albanian organized crime in Western Europe and South America have elevated the country’s risk for money laundering. – Real estate, business development projects, and gaming are among the most prevalent methods of hiding illicit proceeds. [The] law to ban [gambling] is expected to restrict criminals’ ability to hide illicit funds. – Albanian courts often refuse to convict for money laundering. – Despite a sizeable number of money laundering investigations in recent years, the number of related prosecutions remains low. – In the context of ongoing EU accession efforts, political will to investigate high-level officials may be strengthening.